ATTENTION: The golf outing has reached its maximum capacity. We will not be taking on anymore golfers. Thank you. 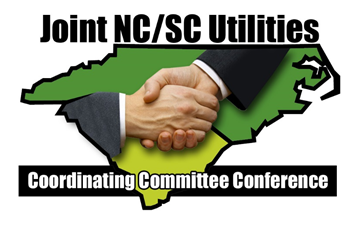 You will find the information below for your online reservation to the 2019 NC/SC Joint Utility Conference May 1st - May 3rd. The first 30 vendor booths will be displayed in the General Sessions room and the remaining vendor booths will be located in the outside foyer as you enter the conference, first come first serve. We will be offering a free locating class facilitated by Tracer Electronics, be sure to check the box on the form and if attending, a certificate will be issued. You may pay your registration fees, sponsorships, etc either by mailing a check, money order, or using PayPal. You may access PayPal by clicking the Make a Payment tab to the left side of the page. Unfortunately, we are not able to accept credit cards over the phone. If you have questions or need help with the link, please do not hesitate to contact mnicholas@scana.com. We look forward to a successful conference.